We’ve all been there. You hit a financial rough spot and need a few more weeks or even months to get back on track with your finances. But, you don’t have to lose your good credit rating during this time. The key is having a strategy for paying the bills that affect your credit score and putting the others off until your finances stabilize. Before we jump into the details of this strategy, let’s review the factors that have the greatest impact on your credit score. FICO is a company that helps all three credit-reporting agencies, Equifax, Experian, and Transunion calculate credit scores. They provide the software that crunches all the numbers and comes up with a credit score. But, scores can still vary based on how each credit bureau sets up the software and also by the creditors who report to each agency. If your score is a lot higher on one report than the other two, it is likely that one of your creditors is not reporting to that bureau. If you go to FICO.com, you’ll find which financial factors affect your credit score and which ones don’t. Here’s a breakdown of the factors that have an effect and how much each impacts your credit score. • Payment History, or paying your bills on time, affects your credit score the most. It accounts for 35 percent of your total score. • The amount of your loans and how much of your available credit is being used accounts for another 30 percent of your score. 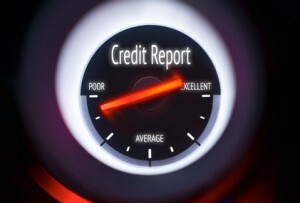 • Length of credit history makes up 15 percent of your score. Generally, a longer credit history is better than a shorter one. • New Credit also comprises 10 percent of your score. Opening lots of credit accounts in a short period of time typically brings your score down. As you review the list, you’ll notice pretty quickly that paying bills on time and managing your existing credit accounts will have the biggest impact on your score – 65 percent. The other three factors combined only have a 35 percent effect. So as you go through a financial struggle focus on the 65 percent first. Here’s where things can get a little tricky. Not every bill you pay reports to the credit bureau. Some only do so when you are very late and your account goes into collections. For example, medical bills usually don’t end up in collections for about six months. So if you have medical bills you can usually wait to pay them. The same goes for electric bills, water bills, phones and cable. Your biggest concern here is not getting a disconnected. This generally takes about 30 to 45 days, but check with your provider if you’re unsure. Also, saving your credit score may not be as important as keeping your power and water on so take that into consideration too. Home mortgages (but not rent payments), installment loans (including car and school loans) and credit cards or department store charge cards affect your credit score. If you don’t pay these on time, your score will suffer. But the late pay will not get reported until you are 30 days or more late. So you can delay the payment a little before it hurts. You may still have to pay late fees. However, many people don’t understand this. They’re under the impression that some bills are reported that aren’t. According to a Transunion online survey, 54 percent thought utility payments were reported, 53 percent assumed cable and Internet payments got reported, 52 percent figured cell phone bills were reported, and 48 percent expected rent payments to help or hurt their credit score. Credit utilization refers to how much of a credit card credit limit or loan amount you actually use. If you have a credit card with a $1,000 limit and you carry a balance of $500 you utilize 50 percent of your credit. (500 is 50 percent of 1000). It is best to try and keep your credit utilization at or below 25 percent, but this may not be possible if you are facing a financial hardship. But here’s a strategy you can try. Pay your card below that level a week or so before it reports to the credit bureaus. Then you can use the full limit of the card and pay it down again before the next reporting date. Some card companies may give you these dates, but others won’t. So this can be a risky strategy. Also, to protect your credit score, you should avoid letting anything bills to collections. This can drop your score 30 to 50 points. You should receive notification from the credit 30 days before this happens. If you already have collections showing on your report the damage has already been done. At this point, it is better to use your available cash to stop new accounts from going to collections. Paying off a collection account that is already on your report does not remove it and has little, if any, positive impact on your credit score after the first few months.